February marks a significant increase in activity in the Section as we anticipate the coming golf season. In this edition I’ll highlight our success at the PGA Merchandise Show, explain the new Yamaha Player Development Grant Program and alert you to the requirements of the revised Apprentice Mentoring Program. First, thank you for your support of our sponsors! As a direct result, we were 10 for 10 with our renewals last week at the PGA Merchandise Show in Orlando. Your thank you letters and emails really help when I meet with a National Sales Manager. Every sponsor wants to know their support is recognized and appreciated. Your letters tell that story. An order would not hurt either! We were very fortunate to renew sponsorships with 2Undr, Antigua, Bridgestone, Bushnell, Cutter & Buck, Greg Norman, JaniKing, PTE Golf, Sterling Cut Glass and Yamaha. Haas Jordan will be back in 2015 and we are working to expand the support from Brooks Brothers/Page & Tuttle. New to the family are CaddyX and Winners Award Group. Now that I am home, I’ll be working on more local sponsors to support your programs. 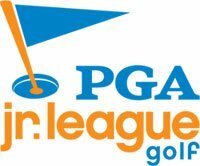 Thanks also for your support of the PGA Junior League Golf Program. Harold Bluestein joined us on the main stage on January 21 to accept an award from PGA Junior League Golf as a Section of the Year for Region 8. Congratulations coaches, for increasing our teams and lending your energy and professionalism to this exciting junior program. There is an important update to the PNW PGA Apprentice Mentoring Program. For more than 20 years the Section has fostered an environment where apprentices receive education vital to advancing their careers. We recently modified the requirements of this program making it very simple and focusing on the important elements of being an active and engaged PGA Professional. Click here for complete details. I’d also like to remind PGA Members that the MSR cycle ends on June 15. Please visit PGA.org and review your progress. If you are short in the PGA required category, after March there is not much on the calendar. The Section and Chapter Spring Meetings are all listed on our website along with the chapter education opportunities. There is not much on the calendar for June 14! Thanks for making it through my important updates. I hope you’ll keep reading a minute longer while I highlight some of our key sponsors. As you know, sponsors are critical to our success. In this issue, I’d like to highlight Grant Holcomb, Wildhorse Resort and Casino, and Muckleshoot Casino. In March we head off to the Holcomb-In-One Las Vegas Pro-Am. Grant Holcomb and his band of sponsors make for a great event. I hope you are able to join us for a little fun in Las Vegas next year. There is nothing like March Madness in a sports book. Remember the 6 overtime conference championship game a few years ago? Now imagine that at the Monte Carlo! Fun is the name of the game and we really couldn’t do it without Holk and his companies. Another fun location and dedicated sponsor is Wildhorse Resort and Casino. Wildhorse is celebrating its 20-year anniversary. Congratulations to CEO Gary George and Head Professional Mike Hegarty for building such a great place! Wildhorse is a great sponsor of the Senior Oregon Open as well as the Central Washington Chapter. Muckleshoot Casino has inked a five year deal with the Washington Open and together we’ll be supporting the Folds of Honor Foundation. Join us for a great pro-am and to support a very important organization. The veterans and parents of our service men and women who play at your facility will welcome the opportunity to support this event. Offer it to them. Click here for details. Have a great February! I look forward to seeing you at your chapter meetings this spring.